Helicobacter Pylori is a bacteria that lives in the mucosal layer of the stomach, which is very common in Mexico (60-70%), mainly in adults. This bacteria causes inflammation of the stomach lining (active chronic gastritis) and can persist in it for many years. Gastritis is a condition that frequently accompanies ulcers; 95% of patients who have duodenal ulcer have H. pylori and gastritis. During the examination of the stomach by an endoscopy, a sample (biopsy) of the stomach is obtained, which must be analyzed under the microscope by a pathologist and whose result will take 3 days. 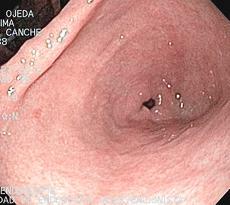 With this biopsy a rapid urease test (cutest) can also be performed in search of the presence of Helicobacter Pylori. The result of this last test will generally be available in 30 minutes.